When my husband passed, I was completely thrown into unbelief–unbelief that it had happened; unbelief that for the first time I was a single mom; unbelief that was going to have to do life without my partner and best friend. As you can imagine I was lost and confuse as to where my path in life would end up. My Christ-following friends made sure they reminded me to keep the faith, not to lose hope, and while I will never ever lose faith in God, I couldn’t understand why I was put on this new journey. Proverbs 16:9, tells us that we make plans, but it is God who orders our steps. Whateve my plans were before don’t matter because the field isn’t the same, yet God is the same. He will order my steps and direct my path. And, if He’ll do it for me, He will do it for you too. If you’re feeling like you are just blowing in the wind without direction, without purpose, remember it’s not always easy to understand what God is doing. If your steps are ordered in God’s Word, trust His leading because He’s always guiding you according to His plans. Thanks to His precious hand, the thousands and thousands of little puzzle pieces of your life are coming together to reveal the God’s beautiful picture that will be your life in Him. If God is able to take the tiniest atoms, join them together and form the universe and everything in i, then surely He can perfectly align the circumstances of your life. Have you ever been on course to complete a task, you have all your ducks in a row, them all of a sudden something happens and everything falls apart? It can be very frustrating during these times. 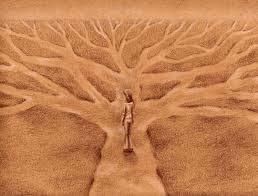 You may feel like you were never on the right path or you may even do all you can to get back to where you were. Think about it like this for a moment, knock downs, setbacks, denials, rejections, may just be God’s way of preparing you for better than what you thought was best. Isaiah 55:8, reminds you that God doesn’t think like you. He doesn’t move like you. You don’t have to understand what He’s doing, all you have to do is trust that He knows what He’s doing.